Kiruv and fine dining, two things I’m very passionate about. 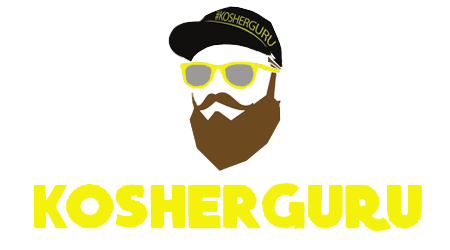 Once speaking with my friends over at NCSY it was a no brainer I was going to make a call and present them and you with one of the most exclusive chefs in the industry. The famous Chef Nir Mesika’s food is inspired by traditional Jewish cuisines keeping him CONNECTED to his ROOTS. NCSY is about educating the youth on TRADITION and strengthening their Jewish FAITH and IDENTITY. 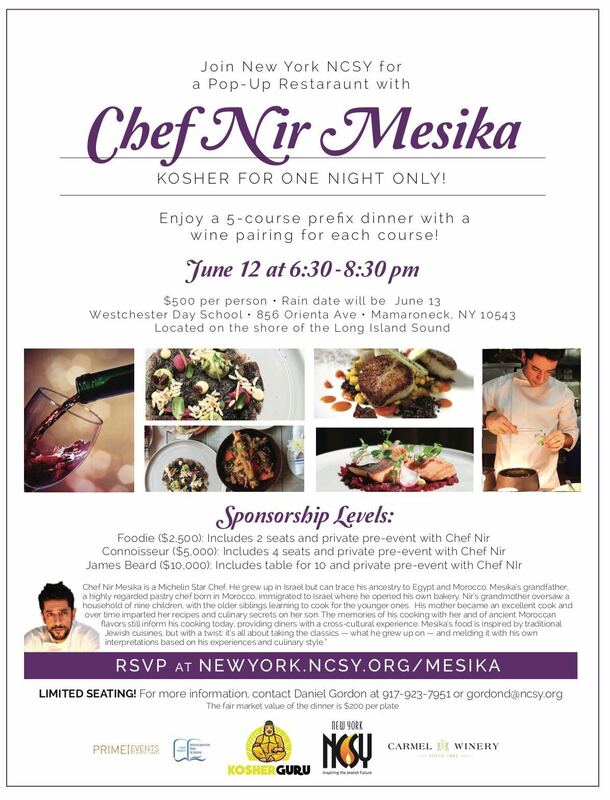 Join me on Tuesday, June 12th at Westchester Day School as we combine all these key words and take advantage of a one time opportunity as Michelin Star Chef Nir Mesika takes his world renowned dishes from his NYC restaurant to our palettes. Each of the 5 Star courses will be paired with a fine wine by Carmel Winery. With different sponsorship levels you can get an opportunity to meet the acclaimed chef himself in a private pre-event. RSVP today as seating is limited.